Here is the official Endurance Nation results update for the week ending on 05/15/2011 – plus a few additions from the previous week. We had a total of 10 athletes race in everything from a sprint to a full Ironman…with more than a 60% rate of personal bests. Congrats to everyone — you can read the full details below. If you’d like to join these folks in training to be your best, please join the Team Waitlist here or consider purchasing an Endurance Nation training plan here. 5/7/11 – White Lake Half Ironman® – Dusty Holcomb (photo at right) and Rob Price both ran this race and both PRd! Dusty came in at 5:22:16, while Rob crossed the line in 4:25:07. Members can read Dusty’s race report here. 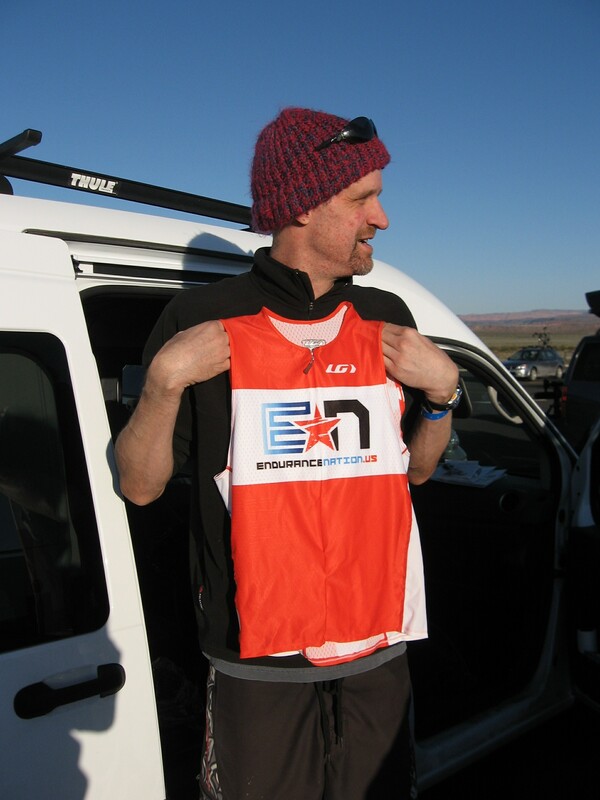 5/7/11 – Eric Blakie competed in an Ironman® race for a finish time of 12:19:00. 5/7/11 – St. George Ironman® – Robin Sarner (photo at left) finished this race in 11:45. 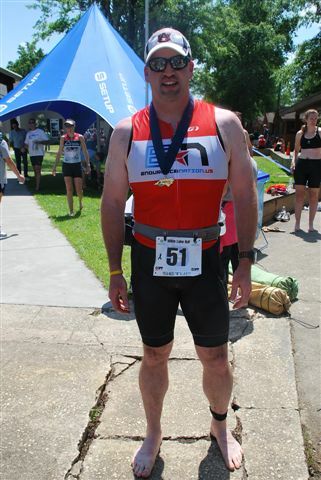 5/14/11 – Kinetic Half – Matt Keiper set a new Half Ironman® PR in this race with a time of 5:13:59. 5/14/11 – White Lake – Keri Viehe raced in her very first triathlon and completed the sprint in 1:29:22! Dusty Holcomb competed in the half ironman race and finished in 6:22:14. Members can read his race report here. 5/15/11 – Superhero Half Marathon – Joscelin Grizzetti ran this race and set a new PR in 1:33:45. 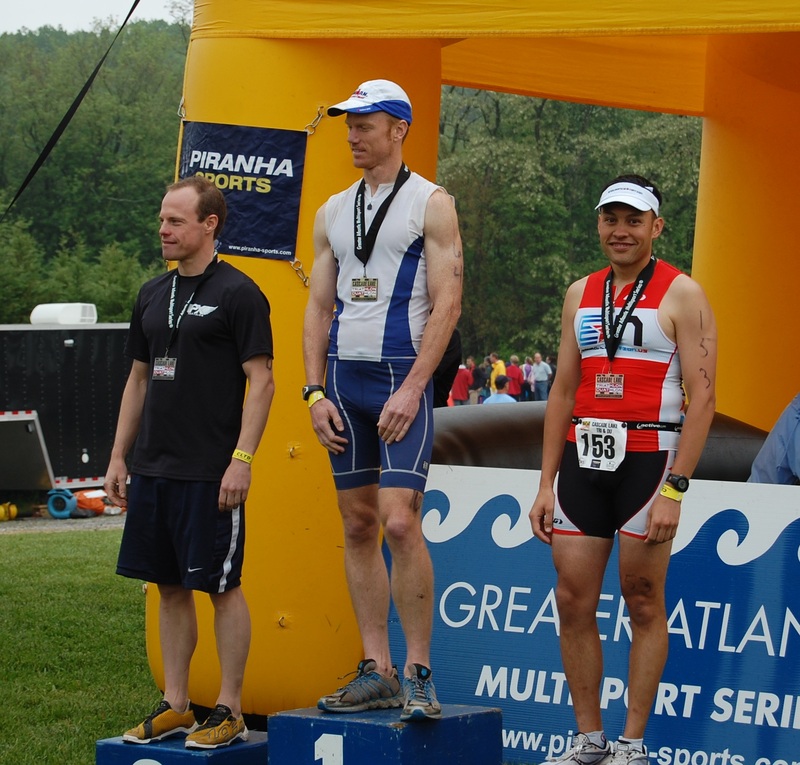 5/15/11 – Cascade Lake Tri – Tim Jardeleza (photo below) had a great race, setting a new sprint tri PR in 1:18:52. He came in 3rd in his age group and 14th overall. You can read his race report here.